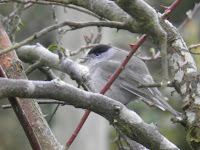 During a recent visit to my parents in Ledbury, Herefordshire, I was delighted to see the distinctive Blackcap (Sylvia atricapilla) frequently feeding from their birdtable. This warbler is probably the easiest to identify with distinctive skull caps, black in males and a chestnut brown in females. Like many other warblers, the Blackcap is a summer migrant to Britain. However since the 1960’s it has been increasingly seen staying over during the winter, particularly in southern England - I have never seen this species where I live in Nottinghamshire. Why have a growing proportion of Blackcaps decided not to migrate during the harsher winter conditions? Migration clearly requires a high cost to the ‘traveller’, in terms of energy and ‘in-flight’ hazards. If the benefits of staying put over winter outweigh those of migration, you might predict that some would be tempted to stay. It would appear that the Blackcap with more eclectic tastes than other warblers more reliant on insects, has taken advantage of the growing bounty found on English birdtables. 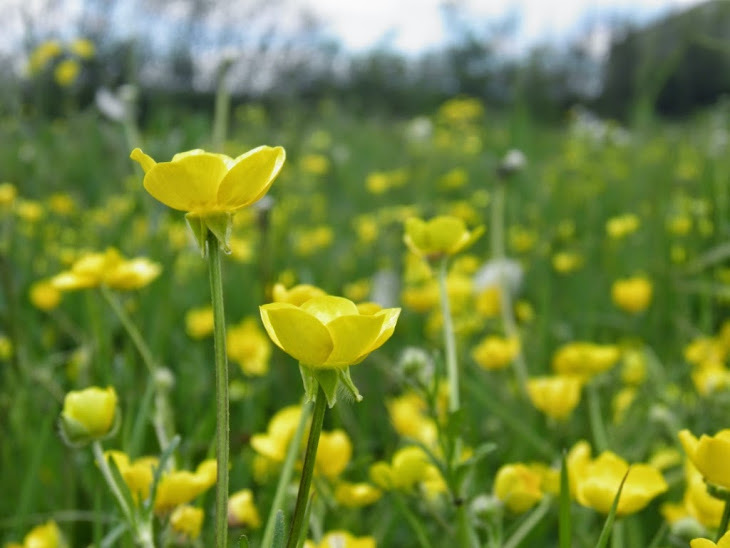 It has also been proposed that it is also a good example of how some wildlife is responding to climate change and warmer British winters, which might well lead eventually to complete residency as temperatures continue to rise (Pulido & Berthold). So, although many households welcome this addition to their gardens in winter, its increasing presence may also be a warning signal of continued climate change and less welcome impacts on other wildlife. I guess it won’t be long before the Blackcap will start to turn up more frequently at birdtables in the Midlands and further North.